These might not have been in the weapon collections of stealth Japanese warriors from the past, but we think they would approve. Features include 440 Stainless Steel construction with sharpened edges and Japanese character prints. Each throwing card is 4 in. by 2.25 in. 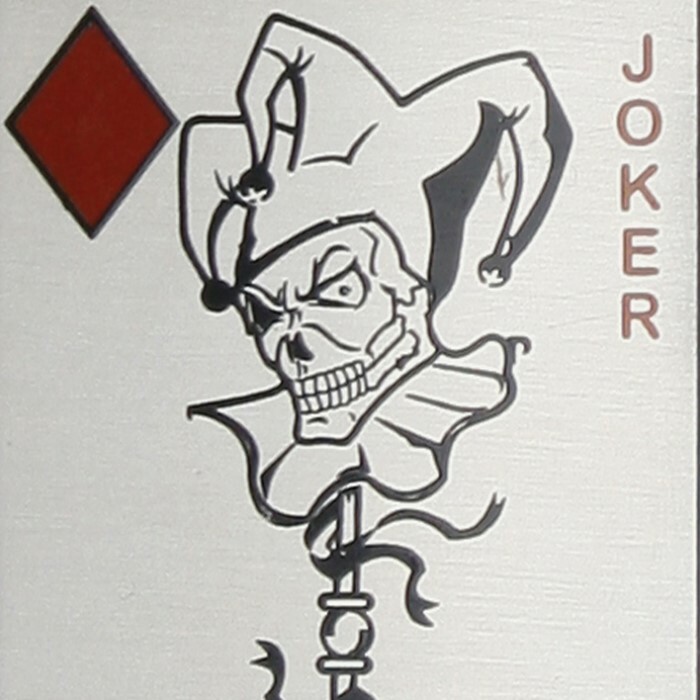 overall (standard card poker card size). 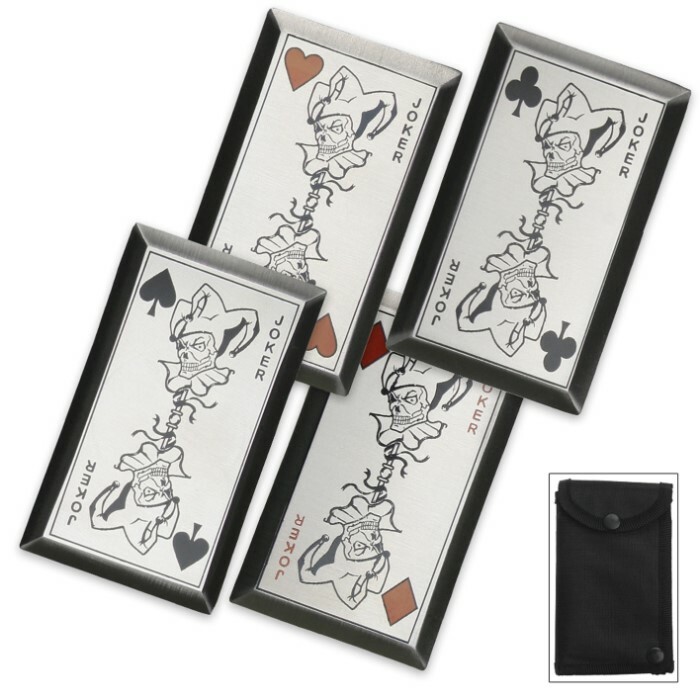 This set includes 4 throwing cards with nylon sheath with belt loop and snap. #0 years ago I used scrap steel to this effect. I could not have made these for nearly the price, and appreciate the proper weight and balance. They are quite sharp and adequate in wieght to do the job. The cards are so much to mess with. But, the only thing wrong is one of the cards have a scratch on both sides and I wish they all came in nicely. These cards are seriously awesome! The cards are well worth the price. They are very high quality and come in a very nice carrying case. I would recommend them highly. These are very heavy, thick & SHARP. I have 2 sets because they are a lot of fun to throw. They are a unique change from throwing knives and also very impressive once you get good at sticking them. I threw them at a 2 thick oak board and the thing was mutilated after a couple sessions, they really sink deep. Don't throw them at a dart-style target because they will absolutely destroy it after a few throws! If you threw one at a person you could cause very serious injury. Despite the thickness & weight, the edges are razor sharp. The only reason I took one star off is because the edges do tend to knick, and the corners will bend a bit. I have re-sharpened them with a dremmel to restore the edges several times, but then again that was after heavy use. I've had them for over 2 years & they are still holding up.